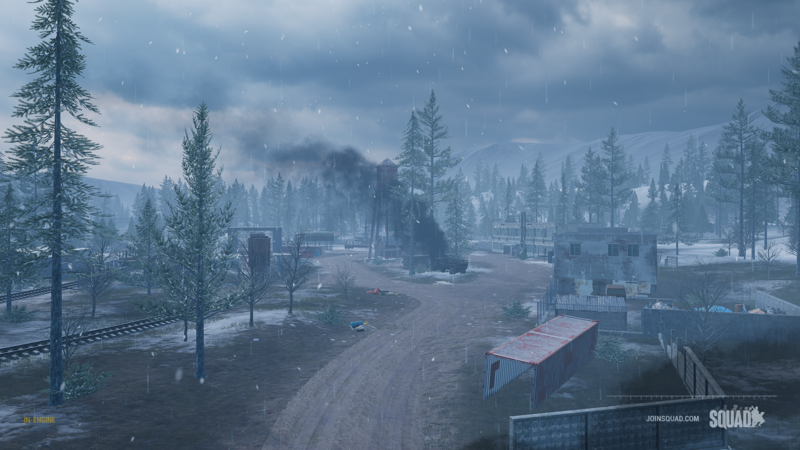 Starting with the introduction of a test map last year called Insurgent Territory Control or ITC, we have been wanting to do a game mode that has a more dynamic style of play that focuses on gaining ground and fighting for locations that matter. It has been our goal to try and develop game modes that provide more strategic play and allow the players the ability to create their objectives and drive their own experience. As a step towards that goal (FOBs are one piece of that puzzle) we have started our initial development of a frontline, territory control based game mode. 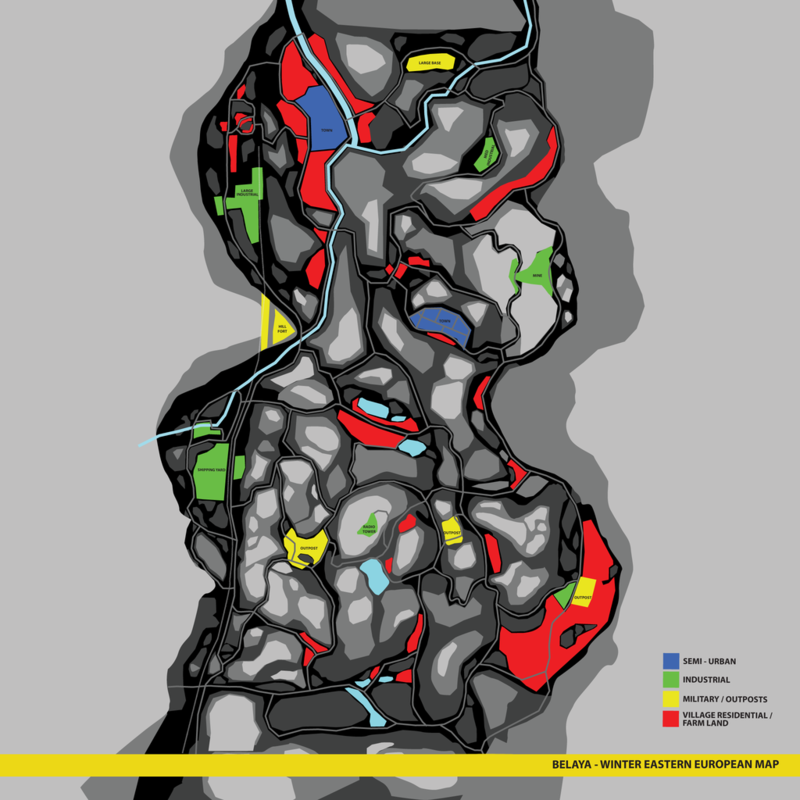 Depending on how development and testing goes, this may evolve into multiple game modes, such as the initial terrain based one and a larger sector and resource based one. Hex lattice auto-generation tools are being created, UI is being designed, and initial gameplay design is being hashed out. To keep this semi-short, we are giving you a screenshot that should provide a broad overview of the current Work In Progress. The initial implementation of staging areas for the beginning of round timer has been created. This will partially replace the current timer allowing players to spawn in before the match starts, so squads may gather together, go over plans, and stage vehicles. 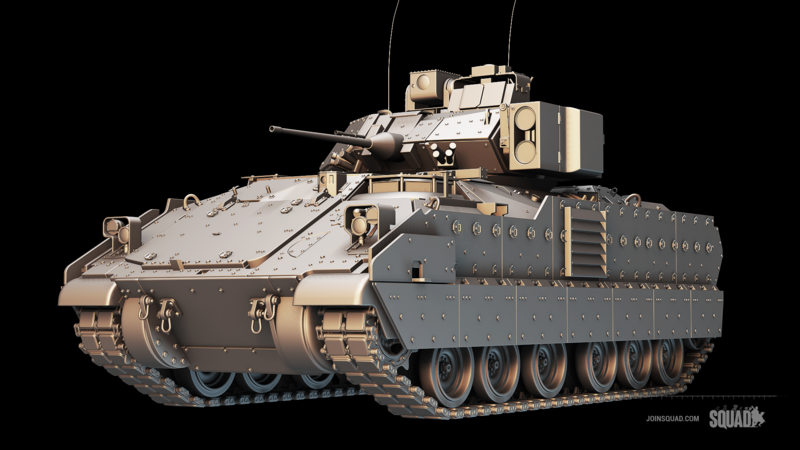 Our first truly dedicated Infantry Fighting Vehicle is ready to be shown off. 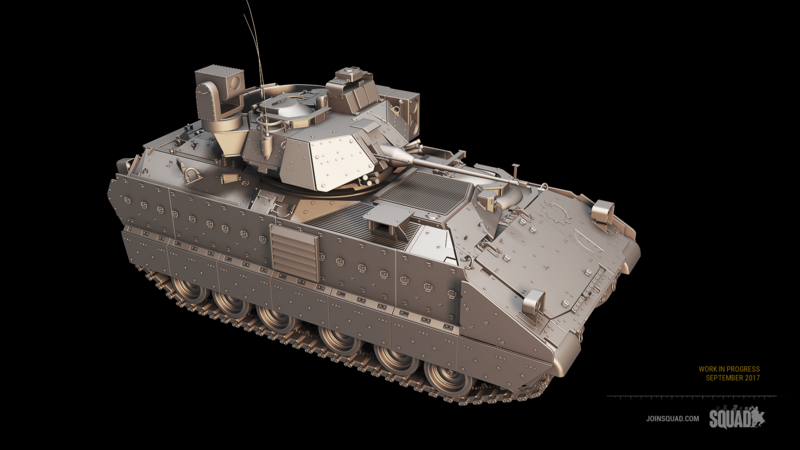 Bridging the gap between Armored Personnel Carrier and Main Battle Tank, IFVs can transport a small group of infantry while also providing considerable fire support against both infantry and enemy armor. You may still need to remind your squaddies that it's not a BTR, though. 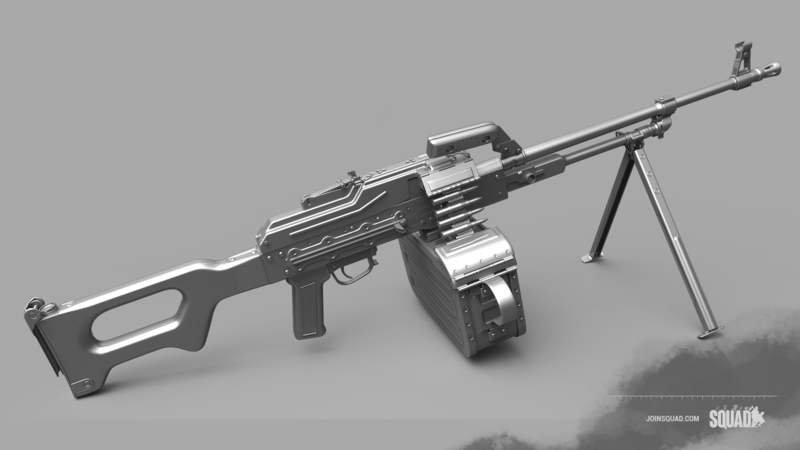 Following the reveal of the m240 in the last recap, we are now ready to reveal the next General Purpose Machine Gun - the legendary PKM. Developed in 1961 and improved in 1969 (Nice.) 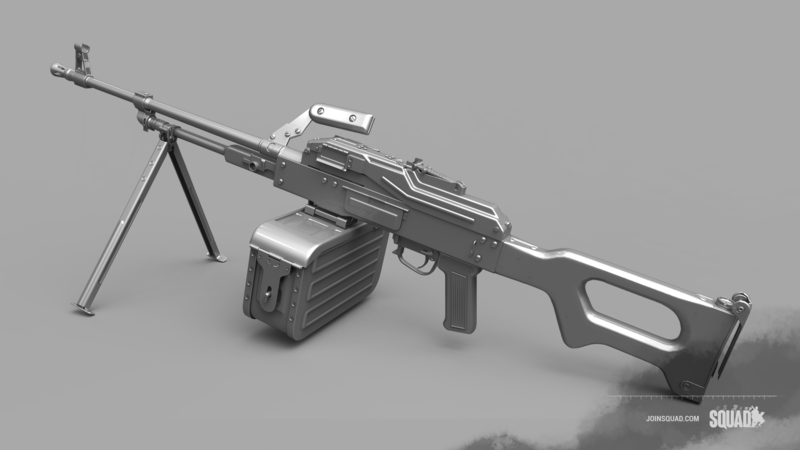 when is was adopted into service, you will likely see the PKM go out before the modernized PKP is ready for action, which means that there will likely be a small period of time where the Russian faction uses the PKM. 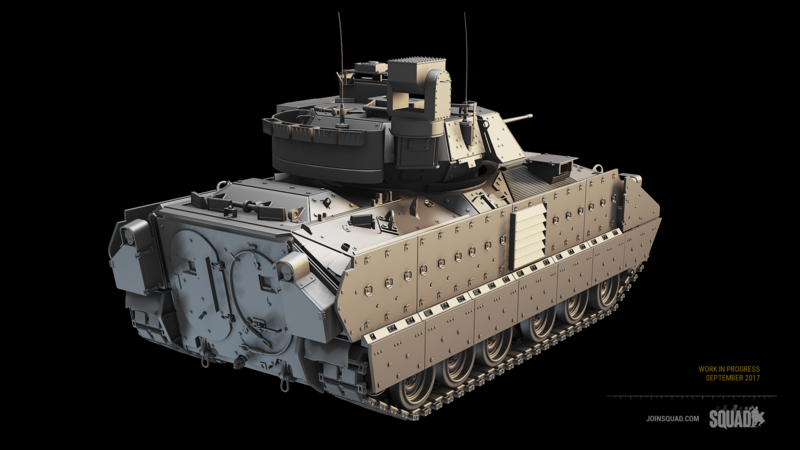 The first of several Main Battle Tanks to be shown off, the M1 will come in two base versions in the world of Squad - the M1A1 and the M1A2. Main Battle Tanks will be a highly valuable asset that will be able to confidently deal with most battlefield threats head on. You can make you own, "Winter is coming..." joke as the rest of us ogle the first look at Belaya. 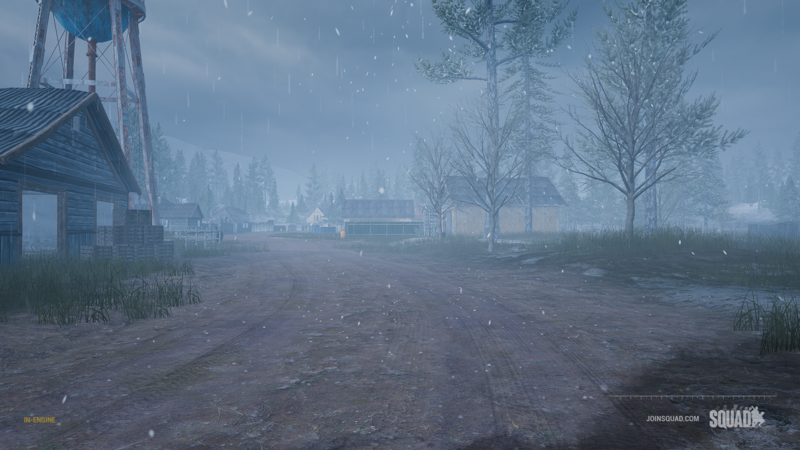 Belaya is an Eastern European map set in late winter/early spring. 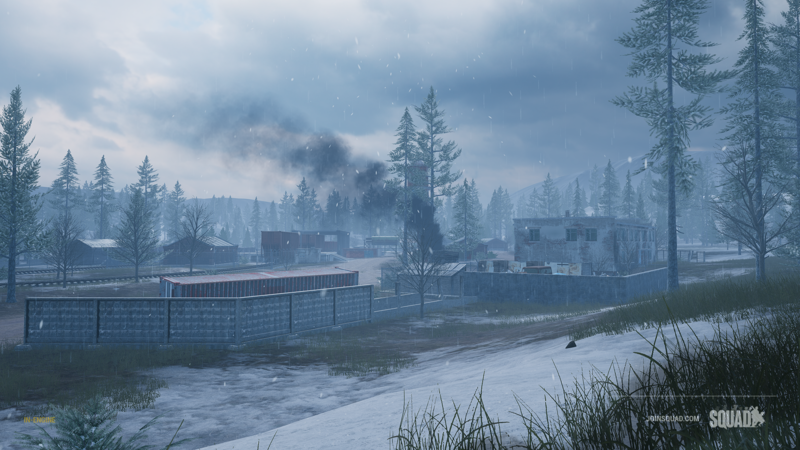 One main goal for Belaya has been to try and capture gameplay elements from our existing maps in hope of providing a varied gameplay experience. Production for the map is in full swing and will keep you updates as we progress at a rate faster than White Walkers. You'll have to keep a (Night's) watch on this one. We don't want to keep you out in the cold forever, though. The environment team has been cranking away on revisiting our production workflow and creating some exciting assets for this map, and boy are we excited. As we've mentioned, we're planning a detailed blog post about Fallujah which will give you a more in depth behind the scenes of our thought process and how Squad's team works under the expert guide of artist oxygencube. If you find yourself a little scared of marching North, Maesters are standing by now. No word on the milk of the poppy update for medics, though. Thanks for joining us for another recap! As always, be sure to let us know what you think. 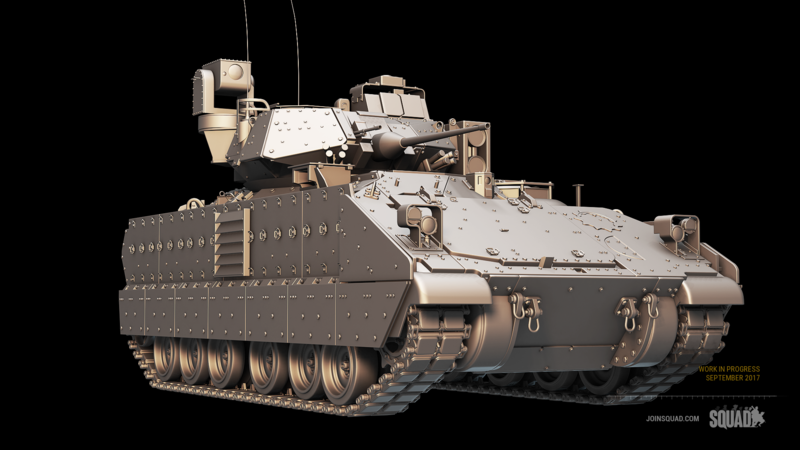 Whats the difference between the M1A1 and the M1A2 BTR ? I saw tanks and my willy got hard. Saw a PKM and it poked through my pants. 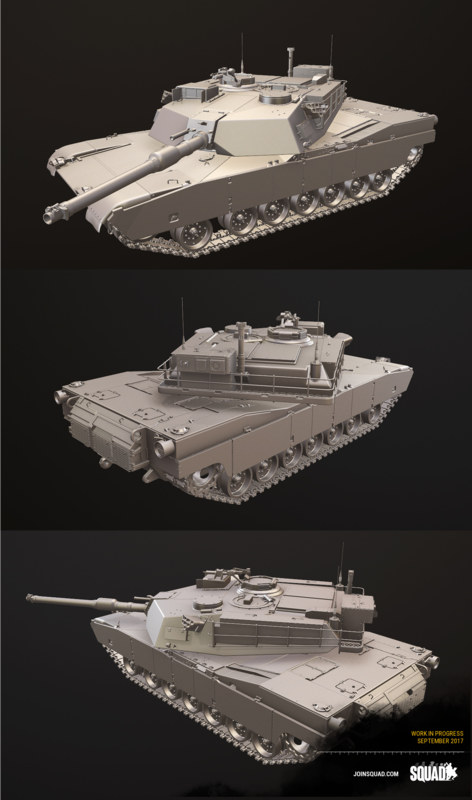 Nice render of models M2A2 and M1A2! Those two vehicles, which i expect so hard! Keep a good work, and don't forget about optimization at least of medium PC - we need at least 30 FPS stable. Frontline example gamemode got potential! Brings Chills to my Bones...Vehicles look mighty tasty! starting to see a more advanced logistical and resource system, waiting to see it on mega maps! Nice recap. 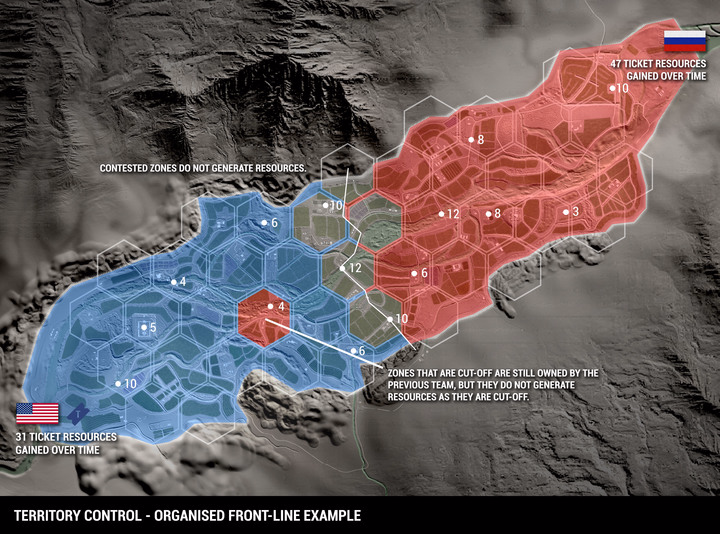 Interested to see how territory control maps play out. Very good jobs guys, but I concern more about V10. Any info right now? All those references, sick. Also, loving the staging area stuff. No more guessing where vehicles are, any bs. You can plan right there and get ready. Also good for inexperienced SLs if they forget the MRAP carries 5 and take the forward spawn on Basrah - they can have units spawn in with correct kits and no more bs leaving everyone in the dark with SL channel in the beginning. Now the TEAM knows the plan, which is bound to increase rapport and teamwork related behaviour imo. Two crew members would make sense. Just like in other vehicles in game. Can we at least get pumpkin heads again this month? TANKS!!!! OMGOSH!!! Belaya looks beautiful too! Really liking the new Staging area idea as'well and everything else! Overall...amazing recap! I just wish we could had a sneak peak at Fallujah. 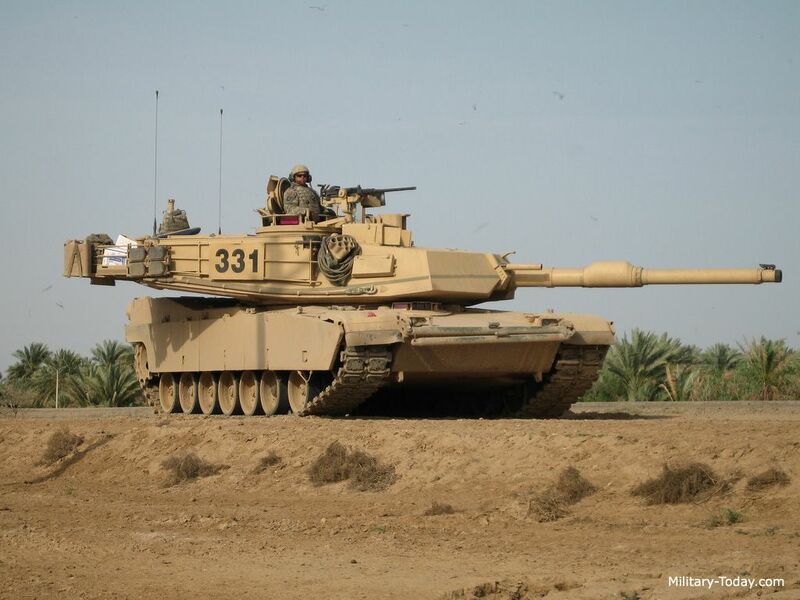 Antennas need to be longer on Abrams btw!